The images have many file formats in which they are saved. But they also require a medium if the user wants to view those images. 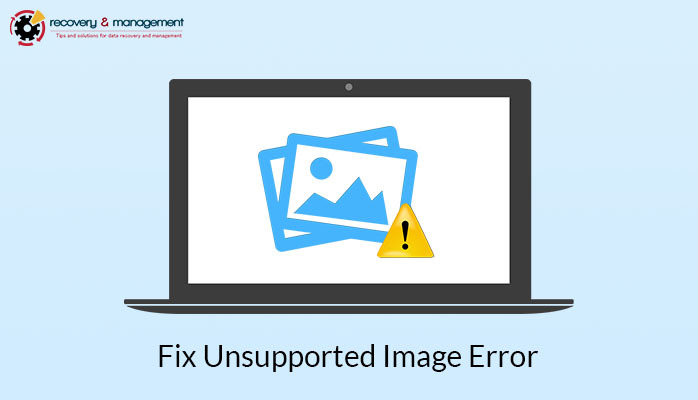 Sometimes the image file format is not compatible with the portal on which it is opened so therefore it shows and Unsupported file format error. So I am going to tell you how to open unsupported images manually. Either your image file is not compatible with the device or there is any extension of the file. That’s why it is unsupported and not opening on your system. Don’t worry just try the solutions that I am going to tell you and I hope you can fix this error. Four Solutions to Open Unsupported JPEG file. Open Image file with Paint or Photoshop. Click on File Tab and select option Save As. Choose the preferred Format in Save As Type box. You can either choose .bmp or .png and can change the image file format. Maybe your file gets compatible with the system and gets supported in your system. In the View tab click on Show Hidden Files and Folders. Remove Check from Hide Extensions and click on Apply. Now try to open the image file. If still you haven’t got the answer of how to open unsupported images then try the third solution. Right Click on Image File. Drag the Cursor on Open With option. Choose the appropriate Browser and click on it. Once you are able to see the image on the browser you can immediately save it into your system. You can also take the screenshot of the picture and print it in the Paint. From paint you can change the image file format and save it by following the steps mentioned in the first solution. If all the three techniques fail and still the image is showing an unsupported image file error then you have to go for a third party tool. 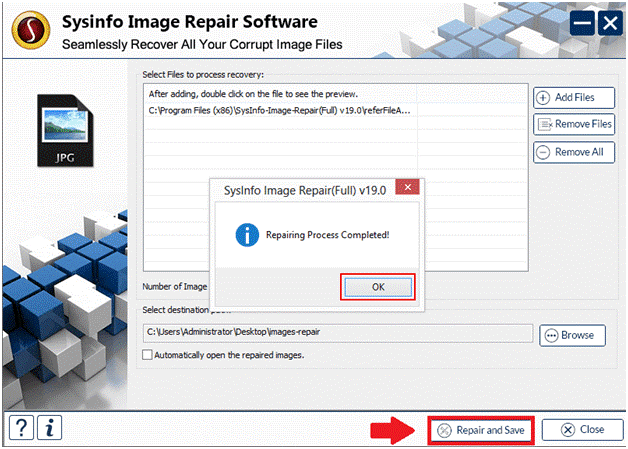 You can try the Image Repair Tool by Sysinfo which is the best aid to your problem. In no time it will repair the image so that it get supported on the system. If you really want to know how to open unsupported images then just download this tool and follow the screenshots which I am going to tell you. Step1- Download and Open Image Repair Tool. Step 2- Click on Add Files to add Unsupported Images. Step 3- Add Multiple files by doing the same steps. Step 4- Browse the Location where you want to save the file. 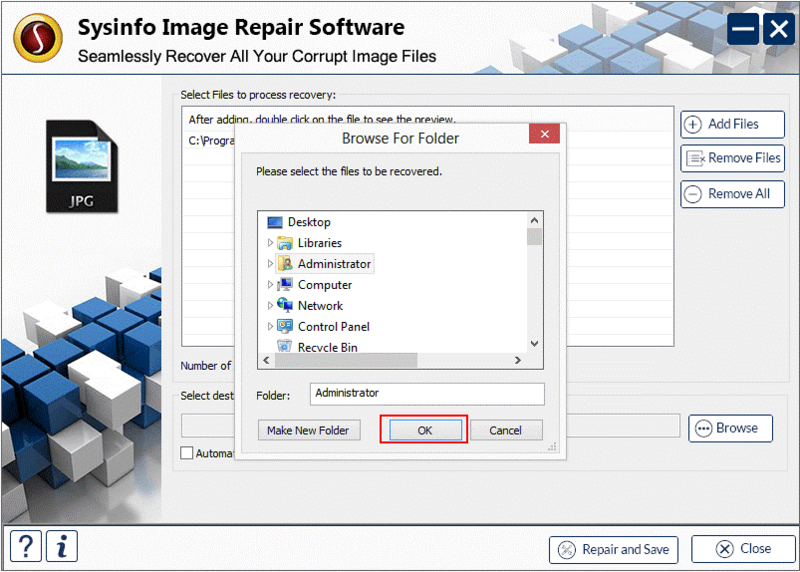 Step 5- Click on Repair and Save button then Click on OK to complete the whole process. Well by now you have already seen how you can make the image compatible if it is showing an unsupported error. Try the manual methods first and if they fail then you can use the third party tool to open an unsupported image file. If you have JPEG or PNG file format then that too can be opened by this tool. This software supports various image formats like for example GIF, BMP, MEF, PSP, MOS and many more. If the image is unsupported then it might have got corrupted. Large Image file Size- The large sized images are prone to corruption. So if the file size exceeds its limits then the files get corrupted. This makes the image unsupported on the system. External Viruses- The virus attack by the internet can also make the file inaccessible which make it unsupported by several image mediums. Abrupt Shutdown- Sometimes the user forcefully closes the image file during the saving process. So this kind of interruption can make the image unsupported. Also Read- Extract Images from VHD File. I hope the above-provided information is enough for you to resolve your issue and finally i want to sum up the things. You have got your answer about how to open unsupported images on the computer system. Try the manual methods first and if you didn’t succeed then only go for the professional tool. I have also mentioned the reasons for this error. Always try to avoid them to keep your file save from corruption.